Still waiting for those big systemwide mileage promotions from major carriers like [[American Airlines | American]], [[Delta Air Lines | Delta]], and [[United Airlines | United]]? Me too. 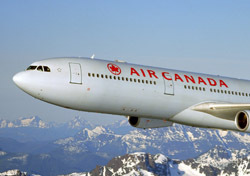 In the meantime, [[Air Canada]] has an offer those other airlines might consider emulating. Through May 3, Aeroplan members can earn up to 15,000 bonus miles on Air Canada flights within Canada and between Canada and the U.S. as follows: Earn 3,000 bonus miles after three qualifying one-way flights; 4,000 additional bonus miles after six one-way flights; and another 8,000 bonus miles after nine one-way flights, for a cumulative total of 15,000 bonus miles.